Our current "infrastructure" project involves purchasing much needed new desks and chairs for all the Vusumzi Primary School classrooms. 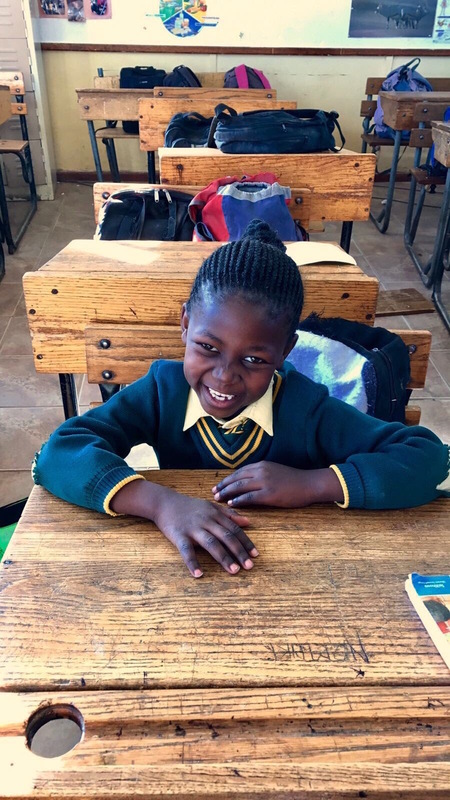 Currently, the classrooms hold a wild array of mismatched, broken, or woefully worn desks and chairs, which not only make instruction and learning more difficult, but also send a message that is below the dignity of equal education for all. After meeting with Mr. Mahokoto, VPS principal, who is concerned about the classroom configuration, we jointly decided to purchase tables and chairs/stools instead. The more streamlined set-up will allow for more space in the classrooms and will grant the teacher greater access to all students. This initiative represents another leap UP in Vusumzi’s evolution and its quest for leadership in education. Each table (the equivalent of eight desks) costs $60. Each classroom requires 10 tables at the total cost of $600. Each classroom requires 60 chairs at the total cost of $1,200. Each classroom may be fully outfitted for $1,800. We plan to outfit 20 classrooms. TO CONTRIBUTE to this initiative project, see below.